“Buy your car from a dealer, without visiting the dealer,” proclaims the Joydrive home page. Visiting a dealership is widely considered the most unappetizing step in a vehicle purchase. Startups aiming to remove the dealership from the sales equation have sprung up like mushrooms. Joydrive claims to be different. “We embrace the dealer,” Hunter Gorham, founder and CEO of the online auto marketplace tells Automotive Buy Sell Report. Joydrive offers a platform for its dealership clients to display their inventory. It works like this: Consumers shop the site and, when they find a vehicle they are interested in purchasing, put down a $500 credit card deposit. Then, the customer is routed to his or her “dashboard,” which facilitates communication with the dealership. Working with the dealership, the customer can complete the rest of the transaction, including getting a trade-in offer and arranging financing. Once the sale is complete, the customer schedules a delivery time and date. Delivery is free within 100 miles of the dealership. There is a five-day or 250-mile return guarantee. “That five-day return period provides a lot of trust,” says Gorham. The average delivery distance is 135 miles, and the return rate has been less than two percent, he adds. Joydrive has found that consumers shop for cars at all hours. Gorham, who worked at Ally Financial for 14 years, compares Joydrive to Amazon. It is a national marketplace and “we show you everything,” he says. Fifty dealerships currently use the Joydrive platform. They are concentrated in Washington and Oregon, with a few in Texas. Clients pay a flat monthly fee. Joydrive sends a team to train dealership staff in using its system. Training generally takes two days. Then, Joydrive stays in constant contact with its dealership clients, says Gorham. “We add new features for our website weekly,” he says, adding that many are based on dealership feedback. More dealerships are coming to the site soon, says Gorham. “We have focused on volume brands (now) we are moving into premium brands,” he adds. 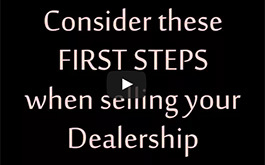 Not just any dealer can list its inventory on Joydrive. The company seeks dealers who are very strong in customer service, says Gorham. Joydrive checks online reviews and investigates the dealership’s website. “We want dealers who are as passionate as us to offer this experience,” says Gorham. Joydrive is not just an anonymous online car warehouse, Gorham insists. Rather, the dealer is the key player. “The dealer and the customer are able to communicate completely inside the Joydrive website, including financing,” which dealers have complete control over, he says. The Harnish Auto Family has been using Joydrive since January. The family-owned group has four rooftops and six franchises on the east side of Lake Washington near Seattle, including Buick, GMC, two Chevrolet, Subaru, and Volkswagen. 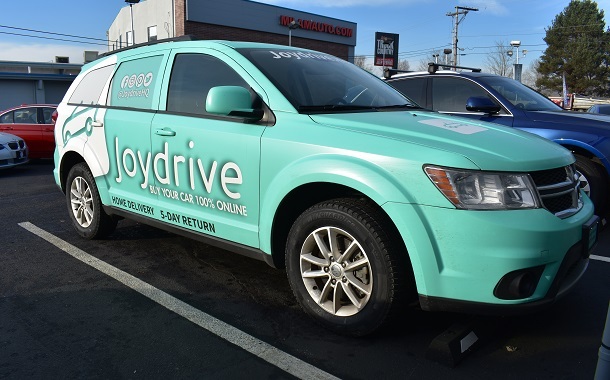 The consumer response to Joydrive “has been outstanding,” says group president Shannon Harnish. She was “super excited” to try out Joydrive because it gives her company another tool to compete in the changing retail environment, says Harnish. Online sales are “coming like a freight train” in the retail auto industry, she says. She has already gotten repeat customers and referrals, says Harnish, including a police officer who came to do a background check on one of her employees and ended up buying a car through Joydrive and referring a friend. Aftersales service is where dealers build customer loyalty and earn money these days. Since the average Joydrive customer is more than 100 miles away from the dealership selling them the car, that would seem to hurt the chances for service income. Gorham admits that “service was not on our radar screen” when Joydrive was designed. But its dealerships are getting service business through referrals, he says. Customers like doing business with Joydrive dealers so much that they “are asking us to visit another Joydrive dealer” when they need service, he claims. Harnish figures that service referrals will balance out the lost service business. “If we are sharing customers (with other Joydrive dealerships) it will all wash out in the end,” she says. “I think the whole business is changing very quickly. This is a way for us to win at both, digital and bricks and mortar,” she says.